St George's was finished in 1724 at a cost of £10,000, part of the great church-building programme of Queen Anne. It's a classic piece of Queen Anne architecture, though somewhat in need of restoration. 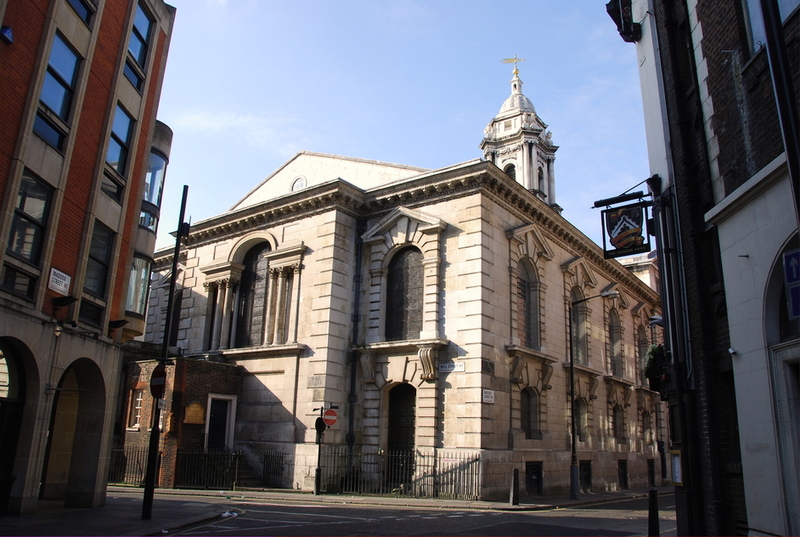 George Frederick Handel was a regular worshipper at St George's, and partly as a result, it has now become home to a regular program of classical music, including the annual Handel festival. In comparison with other churches of the period, St George's is lacking in ornament however it does have some notable pieces. The reredos above the altar, from the workshop of Grinling Gibbons, frame 'The Last Supper', painted by William Kent in 1724. The stained glass windows above contain an early 16th-century Flemish work from Antwerp. What are the best dining options near St George's Church Hanover Square London? St George's Church Hanover Square gyms, sporting activities, health & beauty and fitness. The best pubs near London St George's Church Hanover Square. St George's Church Hanover Square clubs, bars, cabaret nights, casinos and interesting nightlife. Where to have your meeting, conference, exhibition, private dining or training course near St George's Church Hanover Square. From cheap budget places to stay to luxury 5 star suites see our special offers for St George's Church Hanover Square hotels, including No 5 Maddox Street London from 75% off.